Do you like muffins? Store-bought muffins are yummy but they might contain too much sugar or fat. Homemade muffins are much healthier because you can have a control of what to put in the muffins and the amount of sugar and oil. Homemade muffins are actually easy to prepare and here is a simple recipe for you. In this tutorial, Mind Over Munch is going to show you an awesome recipe for DIY 3 Ingredient Flourless Banana Berry Muffins. All you need is 2 bananas, 4 eggs and berries of your choices. 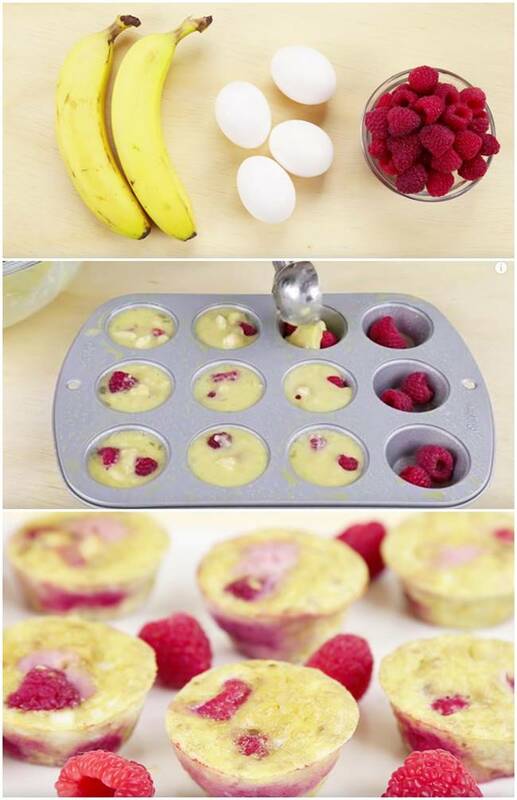 These flourless banana egg muffins are not only healthy and nutritious, but also delicious! They are perfect for breakfast, desserts or a quick snack and will easily become a family favorite. Follow the video and see how easy it is to prepare these flourless 3 ingredient muffins. Enjoy! Please share this easy muffin recipe with your friends and family!